“Thriving in 2010 and Beyond: Defining Our Roles, Exploring Control, Designing the Whole” is a national mental health conference being hosted by the Canadian Mental Health Association from October 22 to 24, 2010 in London, Ontario. It will examine what Canada’s mental health care system would look like if everyone had a role to play in building and delivering it. 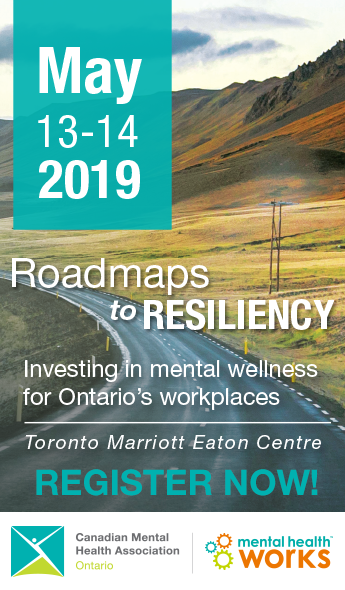 The conference brings together people living with mental illness, family members, service providers, researchers and policy-makers to build on what is working to help people thrive and succeed in Canadian society. Keynote speakers include veteran CBC Radio journalist Shelagh Rogers and former Chatelaine editor Rona Maynard, both of whom live with depression. Average Canadians living with mental illness will also have an opportunity to share their stories at “Thriving in 2010 and Beyond.” Other speakers include Jeff Cheverton, chief executive of the Queensland Alliance in Brisbane Australia, Mr. Justice Edward Ormston and Stephane Grenier. Over 50 workshops will be available. At the heart of the conference is an open, multi-faceted examination of the roles and responsibilities of all mental health care system participants; the control and influence they exert; and key elements needed for redefining and redesigning the mental health care system. To view the full conference program and to register online, visit www.thrivingin2010.com.